There you go. Saturn on February 26, 2013, from 360,049 miles away by NasA/JPL/SSI’s Cassini robotic spacecraft, which launched in 1997, which also includes a lander for the moon Titan. 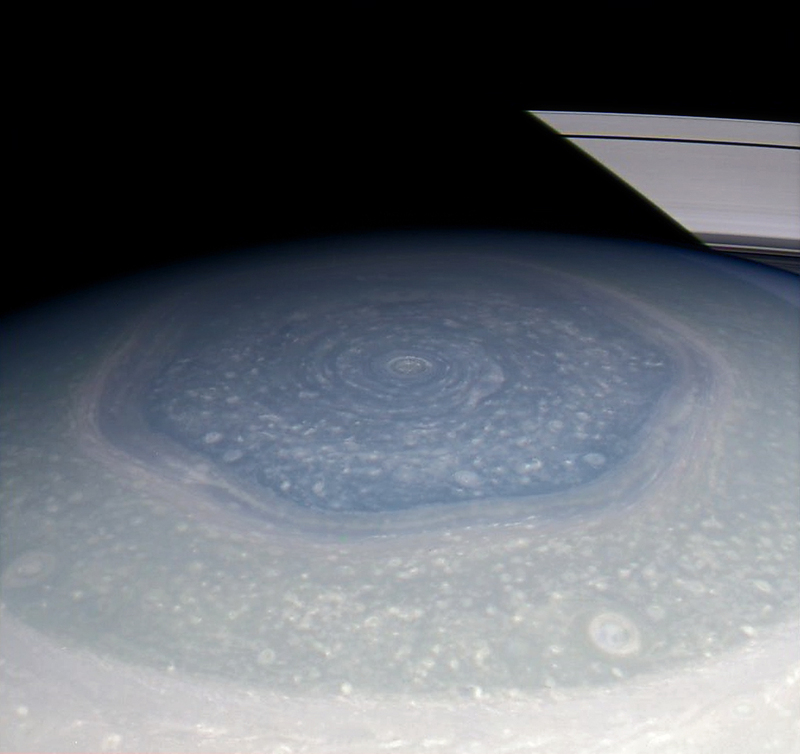 I had never heard of the hexagonal formation at the poles, about which there is much speculation of velocities, fluid dynamics, vortices, and other such things beyond my patience to dwell upon. And here’s a size comparison someone put together. This just makes me want to sign up for an adventure.